Ciputra World is the newest landmark in Jakarta’s commercial landscape, and is the product of a unique combination of talents; world renowned US architects RTKL, and Indonesian property development experts, the Ciputra Group. Aesthetically, the design approach is inspired by the concept of ‘fluidity’, utilizing curves and flowing lines, combined with a kaleidoscopic design and color palette that adds excitement and dynamism, inspired initially by renowned Indonesian artist Hendra Gunawan. Practically the design maximizes prime space utilization, assuring smooth circulation throughout the different areas of the site and providing features, attractions and focal points that inspire and delight. Ciputra World is designed in linewith the standards set out in the Green Building Design Guide Reference issued by the Building and Construction Authority of Singapore. The Green Building Guide prioritizes energy / water efficiency and good environmental management, benefiting tenants and the planet.The newly established Green Building Council of Indonesia has chosen Ciputra World to be a pilot project for Green Building certification in Indonesia. 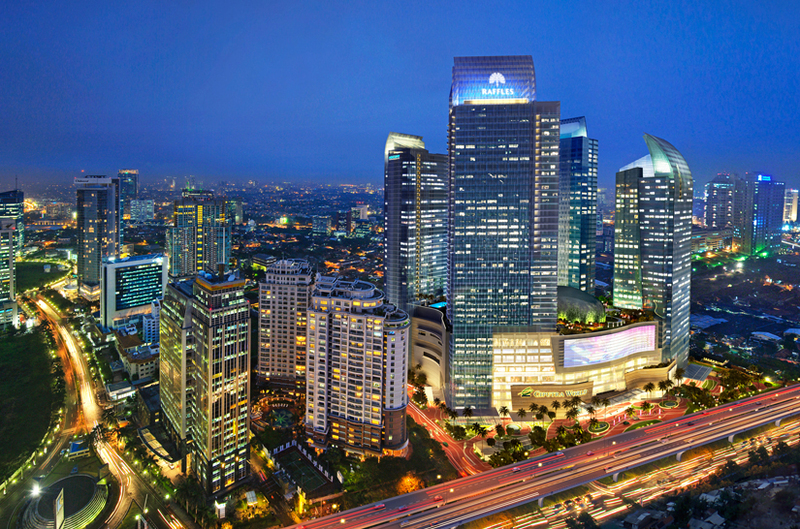 The location of Jakarta’s most desirable new hotel and residential development is second to none. The Golden Triangle area delineated by Jakarta’s main traffic arteries, Sudirman, Gatot Subroto, and Rasuna Said , forms the commercial heart of Jakarta. At the center of the golden triangle, on jalan prof Dr Satrio is Ciputra World 1 Jakarta, home to Raffles Hotel Jakarta and Raffles Residences Jakarta, as well as a broad range of national and multi national companies and corporations. The area is home to many of the city’s leading restaurants and hotels, foreign embassies, and high-end residential communities. Ciputra World is easily accessible by car from Sudirman and Rasuna Said, free of 3-in-1 restrictions. There is even a direct route to nearby Mega Kuningan that avoids all the main roads.  Ciputra World is in easy reach of all the city’s key business locations. And with the completion of the new multi level flyover and roads currently under construction, through traffic and traffic jams will be eliminated from local roads, changing the face of this prime part of Jakarta completely. Ciputra World is being developed by PT. Ciputra Property TBK, a subsidiary of The Ciputra Group, a major developer with an extensive portfolio in Indonesia and abroad. The Ciputra Group is a pioneer of Indonesian property development in a multitude of sectors, ranging from commercial real estate projects to multipurpose housing complexes and recreational parks. It has a majorpresence in Indonesia with landmark developments in Bali, Banjarmasin, Jakarta, Lampung, Manado, Pekanbaru, Samarinda, Semarang and Surabaya. 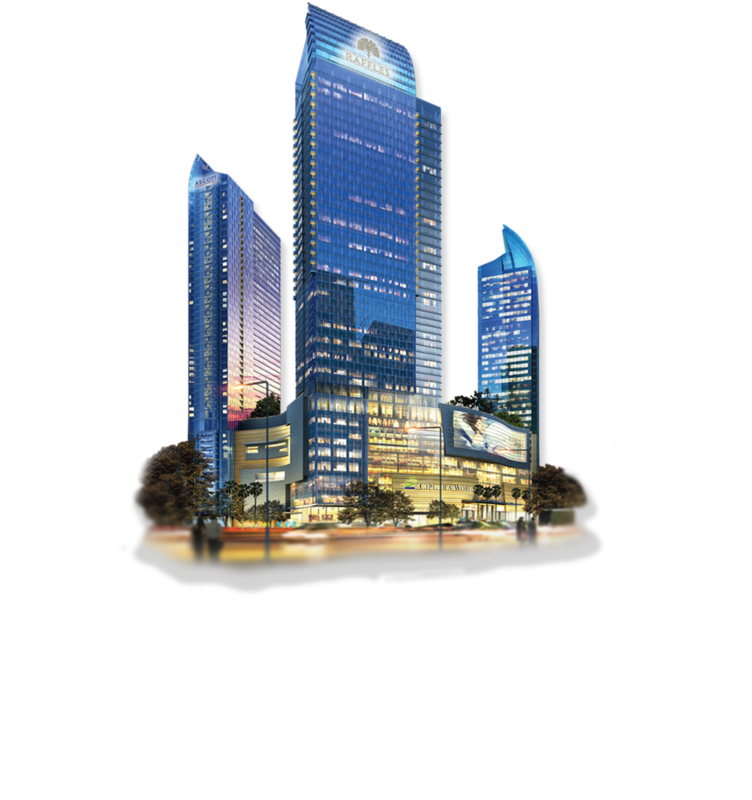 One of the Group’s first international developments was Ciputra Hanoi International City Vietnam. In 2006 the Grand Phnom Penh International City project was initiated in Cambodia, the first integrated city development in Cambodia. Based in Baltimore, RTKL is one of the most respected architectural practices in the world. Its award-winning portfolio spans six continents and includes projects in the retail, entertainment, residential, healthcare, civic and public, workplace, mixed-use, hospitality, urban planning and technology sectors. Projects include Westfield San Francisco, LA Live and The Grand Indonesia. The team responsible for Ciputra World includes some of the world’s leading specialist consultants. Wilson & Associates from Singapore, internationally acclaimed interior space design consultants with credits that include Atlantis in Dubai, the Palm Jumeirah, Disney World Florida and Disneyland Paris. Hirsch / Bedner Associates HBA of Singapore is a world class Interior Design company that is responsible for the interiors of many Grand Hyatt Hotels. Belt Collins & Associates from Singapore is an international planning, design and consulting firm focused on providing value to our clients’ land-based assets. We employ over 500 multidisciplinary professional and support staff practicing from nine offices in eight countries and territories. Belt Collins consistently ranks as one of the top 200 international design firms and top 500 U.S.-based design firms in Engineering News-Record. Since our founding in 1953, we have completed over 16,000 projects in 70 countries around the world, and we have received over 350 awards, honors, and accolades for our projects, practice, and people. Structure and M&E Consultant – Beca Carter Holling & Ferner Ltd, a New Zealand based engineering company. Beca is one of the largest employee-owned engineering and related consultancy services groups in the Asia Pacific region. In 1918, Beca was established in New Zealand with only three employees and is still headquartered there. Now, Beca has a substantial Asia Pacific footprint with over 2,600 employees operational in 17 offices across the world. Beca delivers a variety of consultancy services across the Buildings, Government, Industrial, Power, Transport and Water market segments. We operate from three main “hubs” – Australia, New Zealand and Asia – offering everything from engineering, architecture and planning services, to project and cost management, software technology and valuation services. Facade Consultant – Meinhardt (Singapore), one of the leading international consultancies in Singapore and part of the Meinhardt International Group. Lighting Consultant – Kaplan Gehring McCarroll Architectural Lighting, Inc. (KG M), an award winning Los Angeles based lighting design firm that specializes in creating unique lighting environments within stringent energy usage regulations.